While browsing around Twitter last night, I somehow came across an interesting interview, recorded earlier in the year (ironically on a niche podcast!). 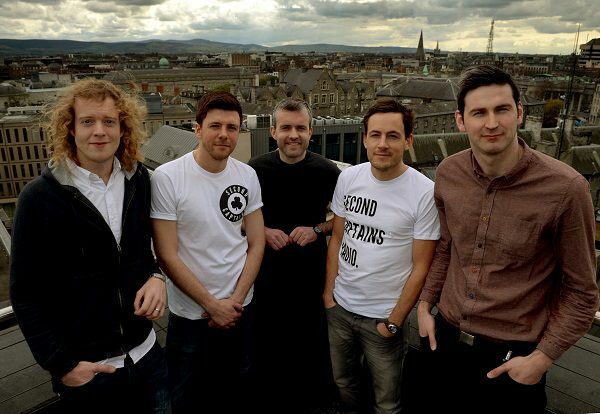 Ken Early of Second Captains fame and Andrew Mangan of Arsenal fan blog ‘Arseblog’ shared their insights into podcasting and building a niche media business. Both touched on the inertia that so often defines big media these days. Listen to the Early’s thinking from around 24.00 in, it’s particularly riveting. Paraphrased, the flame haired one, no stranger to making a strong point or two, takes aim at Ireland’s media agencies, their lack of innovation and awareness about the power of niche/new media and podcasts. Early also muses that the legacy systems of big media aren’t interested in ‘what else is going on’ and are ambivalent about new media. He might not work in advertising or media, but he’s pretty much bang on from my experience. In the Irish Digital Consumer Outlook 2014, I mentioned a prediction that podcasting would explode in popularity across this year and next. In fact, it’s already reached that stage. In the U.S., ESPN’s Bill Simmons (‘Grantland’) and Ira Glass (This American Life) led the way, but even in the past year, influencers like Tim Ferriss and James Altucher have grown their own communities through the power of the pod. With channels like Stitcher, Soundcloud and iTunes all growing distribution options, the podcast medium has grown in popularity and the trend doesn’t seem to be stopping. Another plus is that the rules of podcasting are different. There are no gatekeepers or editors, the listening habits are different, the economics are different. Back across the water, we’re a little slower, but the momentum is building. Second Captains’ decision to go pod only, and of course the Irish Times facilitation of this is a huge step. While Jarlath Regan’s ‘An Irishman Abroad’ is an excellent example of high quality, enthralling audio that, in 1990, would have taken thousands of people to create. This trend is all part of the democratisation of media away from the hands of big behemoths. Similarly in the world of print, we’ve seen the rise of the personal brand journalist. The likes of Walt Mossberg, Nate Silver and Ezra Klein, along with the aforementioned Simmons, have all left large institutions to set up their own, niche media brand. And traditional media is slowly beginning to take heed. In the past year, big entities like Harvard Business Review, ESPN, PBS, RTE, Irish Times, Re/Code, Sunday Business Post, 99U, Talksport and Newstalk all create their own podcasts, either as re-cut radio broadcasts, or more often than not additions to written and video content. For example, the Irish Times offers an excellent businesses podcast hosted by Tom Lyons which serves as a supplementary canvas for their business journalism, while ESPN’s magazine podcast gives a look behind the scenes at how an edition is created. I’ve written before about the necessity for media brands to diversify their revenue portfolio, and podcasts seem to be a key part of that. So with listenership numbers increasing and a general growth in the space, the question remains, where’s the advertising? Despite reaching 250 shows and having over 115,000 Soundcloud subscribers along, I’ve only ever heard one add on Second Captains, for KBC Bank as a competition sponsor. Just today, they announced a new deal with Rabo Direct, who must have some cash floating about in their sport sponsorship budget after moving away from rugby. So perhaps the tide is changing? The issue comes with the fact that small, niche brands often aren’t on a media agencies radar, or don’t have the scale to make contact worth the while. Media agencies would rather play it safe and go to the traditional big radio channels. In digital display, we’re seeing smarter, agile media agencies like Sweatshop pop up to fill this gap. Perhaps there’s a need for a podcast equivalent? In the U.S., condensed ‘podcast networks’ are popping up, and are seemingly lucrative. Who will be brave enough to create an Irish/European equivalent? Squarespace is one big company which has invested heavily in the low cost, high engagement space. Founder Anthony Casalena has constantly reiterated the high ROI of sponsoring niche podcasts, and for good reason. Americans are listening to more podcasts than ever it seems, according to a Squarespace blog. According to the Washington Post, podcast downloads passed 1 billion mark last year and monthly podcast listeners number 75 million per month. Even USA Today is taking notice. Sure, numbers in Ireland at the moment might be relatively small, and not enough to support a big advertising business. But for those advertisers and podcasters who are able to find success and a certain level of listenership in this medium, podcasting could soon be an important part of the new media model, even if its on a small scale. Time to wake up and start listening media agencies.